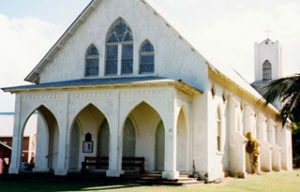 Located on the Kalaupapa peninsula is the St. Francis Church. When Damien arrived in 1873, there was a fishing village in Kalaupapa and some of the patients were already moving to Kalaupapa from Kalawao. 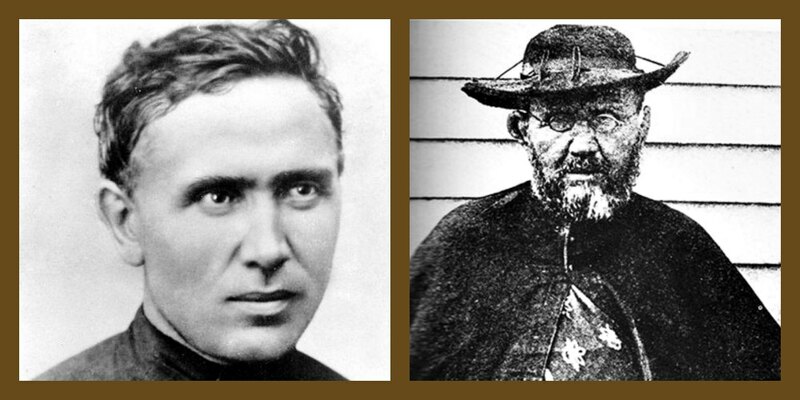 Damien felt a need for a church on that side of the peninsula and built a small one in the Fall of that same year and named the church Our Lady Health Of The Sick. Two years later he tore it down and rebuilt it. Then, in 1881 he enlarged this second structure. 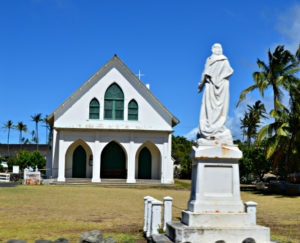 It served as the parish church for Kalaupapa town until 1900 when it was replaced by a much larger and very ornate wooden church which was named St. Francis Of Assisi. Damien’s church was then relocated to the site of the present Damien Hall next to the new church.The new church burned to the ground within less than an hour in 1906 because some altar boys were careless with lighted charcoal. The front of Damien’s church was also burned but most of it was saved and became a temporary church until the present St Francis Church was rebuilt and dedicated in 1908. The architectural style of St. Francis Catholic Church is an Italian Gothic of reinforced concrete. It has a corner bell tower with kicked eaves, gothic arches with double hung windows, quatrefoil windows, side buttresses, and a large corrugated metal gable roof.